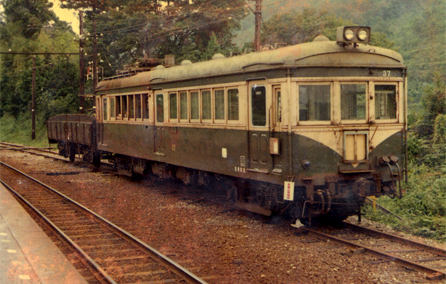 In 1968, the Taguchi Line of the Toyohashi Railroad ceased operation. The remains still can be seen in places in Okumikawa after more than 50 years. 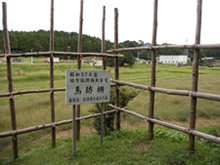 Take a trip to follow the nostalgic Taguchi Line and think about the old days of Okumikawa. The station used to be called Horaiji Station. 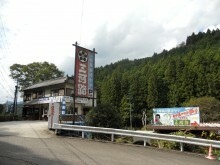 Now it is called Hon-Nagashino Station, but there are still remains of the Taguchi Line. 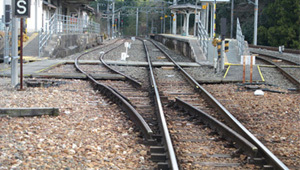 The Taguchi Line's rails are still there. It was at a junction of Taguchi Line and Iida Line, so people stop by the station. Although the Taguchi Line has ended, Mikawa-Taguchi Station is still there. It used to be a popular station, although the decaying station now shows how much time has passed. 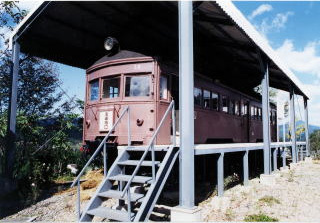 An old railroad car "Moha 14" is exhibited in the field. Okumikawa Kyodokan has some remnant parts of the Taguchi Line on display in the hall. The real railroad cars, signboards and many other materials are still there. Mountain climbing amid the wonderful nature of Mt. Horaiji. 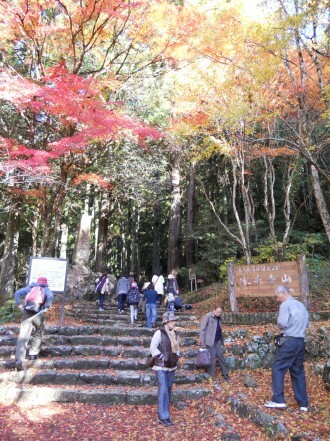 There are also Tosho-gu and other important cultural properties to learn about regarding the history of the area. The main climbing course of Mt. Horaiji. There are 1,425 stone stairs beginning from the starting point. The mountain is 695m tall. Regular Holiday: Open Everyday in the precincts. The Battle of Nagashino is one of the most important stories in history as the Takeda forces and the Oda-Tokugawa combined forces in this war. 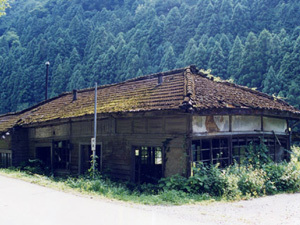 There are many remnants from the battle in the areas of Nagashino and Shitaragahara. What is the Battle of Nagashino? It began on May 21, 1575. It was a war at Mikawa-koku Nagashino Castle between the Oda-Tokugawa combined force of 38,000 solders and the Takeda force of 15,000 solders. 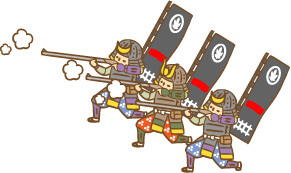 It is also called the Battle of Nagashino Shitaragahara. The battle is well-known because of Oda force's new strategy "The Continuous Fire", which is a strategy wherein one line would shoot and reload while the next line would shoot as well. Did "The Continuous Fire" really happen? About the Battle of Nagashino, it had been believed that "The Continuous Fire" led to the Oda-Tokugawa combined forces' victory in battle. Nowadays, however, it is said that "The Continuous Fire" is doubtful. Nothing was ever mentioned about "The Continuous Fire" in the Nobunaga Chronicles. Also, there isn't much evidence to support it, so the story was probably made up as time passed. Although "The Continuous Fire" didn't happen, Oda forces won because they brought many guns and employed the new tactic of making barricades against the cavalry. So, even though "The Continuous Fire" didn't really happen, Oda Nobunaga conquered the whole nation, Tokugawa Ieyasu constructed his base in the Mikawa area, and Takeda soon after went to ruin because of the battle. The Battle of Nagashino became a turning point for both forces. 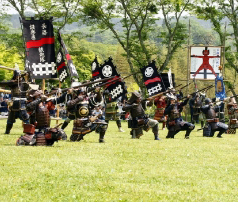 Please visit Nagashino to learn about and experience the Battle of Nagashino. 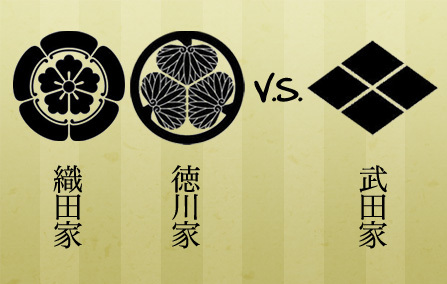 There are a lot of specialties named after the Battle of Nagashino. Here are some of the specialties. "Gunbai Gohei Rice Cake" *Gunbai is a military leader's fan. As the name says, it is a piece of rice cake shaped in the style of a military leader's fan. It has the dignity of a military leader in battle. It is a hot dog with seaweed and cheese, and has a great combination of flavors. And, of course, it is named after Torii Suneemon, who made great efforts in the battle. There are many other historical named dishes such as the "Nagashino Castle Set Meal" or the "Katuyori Set Meal". They don't only have interesting names, but also they have great tastes. Please enjoy the historical named dishes and learn more about the history of the Battle of Nagashino. 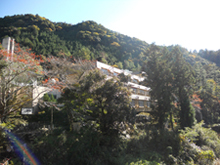 There are a lot of hot springs in Okumikawa! Would you like to take a bath easier? Try "Individual Section Bathing”! It works! Bathing in a bathtub certainly warms your body, but it takes time. "Individual Section Bathing” is the solution. You can put your arms and legs partway in a bath or even put your knees or hips in it. It doesn't only warm your body but also it heals your stress. It's not as stressful on one's heart, so it's also good for senior citizens. Isn't it nice to spend some time reading a book, drinking tea, or just relaxing while having a footbath? 1. Put 43℃ water in a container or a bucket. 2. Put your favorite essential oil into the water and put your legs into the water for 10 min. Effects: Warming of the body, recovery from fatigue, and so on. TRefresh yourself at home! Recover from stress in your bath. When you've had a hard day, taking a hot bath can be a great solution. However, have you thought about the way you take a bath? There are a variety of ways of taking a bath to heal your body. Eye Strain: Take a half-body bath with warm water and put a warm wet towel over your eyes. 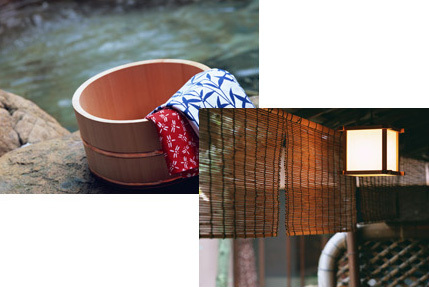 Shoulder Stiffness: Take a 40℃ bath for 10 minutes. It's more effective if you stretch or add a carbonic bubbling bathwater additive. Taking an arm bath works as well. Lower Backache: Take a half-body bath with warm water for 20-30 minutes to warm your lower back slowly. Sleeplessness: Take a half-body bath with 39-degrees-centigrade water for 20 minutes. It is important to make the bathroom warm as well. Lively fresh fish grown up in a clear stream in Okumikawa. After fishing, don't you want to eat your fresh fish right away? Iwana (Salvelinus) and Yamame (Seema) are not only delicious river fish in Okumikawa, but also "Kinuhime Salmon"! It can be eaten raw as "Sashimi", and it doesn't have a strong smell. A restaurant that has a place for you to fish or catch fish with your own hands throughout the seasons. 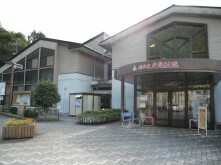 There is a matsutake mushroom dish and boar's meat stew in addition to wild sweet fish cuisine. What type of river fish are in Okumikawa? 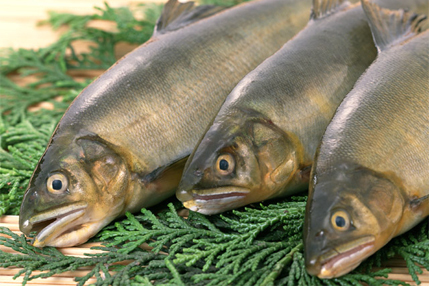 Ayu (Sweetfish), Iwana (Salvelinus) and Nijimasu (Rainbow trout) are popular. They are not only delicious but also you can keep some of them as pets. It is one of the most popular fish in Japan and is great when grilled with salt. It is also called Kogyo, which means "fragrant fish". From the end of September up to November is also a good time to catch them in fish traps. It is a salmonid fish of the Pacific salmon genus Oncorhynchus. 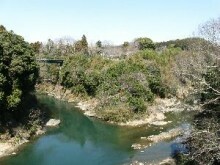 The fishing season is in summer and it is also known as Satsukimasu salmon. It looks like Yamame (Seema) but Amago has red dots on its body. 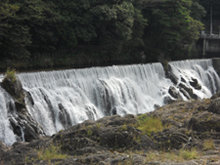 It is famous among stream fishing enthusiasts. The season is from May to June and it is especially delicious when grilled with salt or deep-fried. The Japanese associate spring flowers with cherry blossoms. There are many cherry blossom viewing spots in Okumikawa and people love to visit them.There's Sakurabuchi Park, which is called Arashiyama* in Mikawa, as well as a cherry tree called "Kichijo-zakura", which is 300 years old. 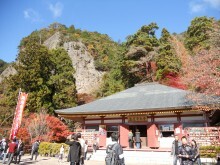 *(Arashiyama is a very famous and beautiful tourist spot in Kyoto. 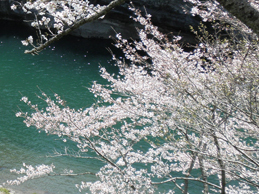 )You can also see different types of cherry blossoms such as Shidare-zakura, Uba-zakura, Ukon-zakura and Yae-zakura in Okumikawa. 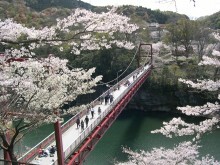 Please visit and enjoy cherry blossom viewing in Okumikawa! Seek healing and come into contact with nature. Great Fun with Fishing, Dining and Accommodation. Access: Take Route 151 from Toyokawa Interchange. 40 min by car. it can be roughly divided into two kinds of species:, one that grows in the wild and the other which is a cultivar for floriculture. It is a general term for cherry trees wherein the blossoms bloom before the leaves come out. This is one of kind of cherry blossom which blooms yellow blossoms and whose blossom is double-bloomed. A blossom which has many petals and blossoms which are salted to eat. It blooms after Somei Yoshino, which is the most popular cherry tree in Japan. Set your camera to macro mode to take closer shots of plants and flowers. it usually gets more difficult to focus and you may blur a shot because you moved just a bit. Copyright © Okumikawa Navi All Rights Reserved.